A little more about the folks who run Gypsyfeet Travels. After an engineering degree from BITS Pilani and an MBA from the Indian School of Business, Kanchuki worked as a Program Manager for Microsoft in Hyderabad, India and in Redmond, USA. Following her love for travel, she founded Gypsyfeet Travels in order to help people explore the North-Eastern Region of India, which is her homeland. She is passionate about immersive and sustainable travel, and specially loves to cater to families, women, older people who otherwise would not explore off-beat destinations. Her other interests include education, specifically the field of applied learning. She is working with multiple educational institutions to help them strengthen applied learning opportunities for students. 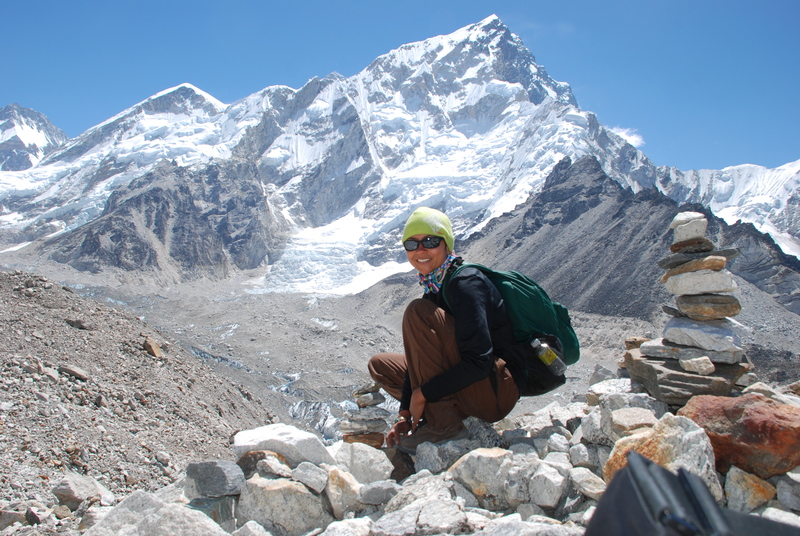 The photograph below is taken from the Everest Base Camp trek – Kanchuki is an avid trekker. Her last major trek was to Stok Kangri (6100m). 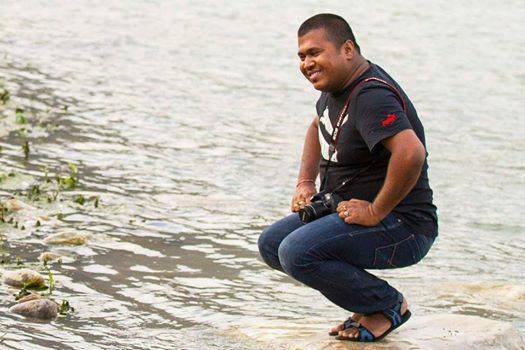 Mirza Zulfiqur Rahman is our resident expert on the North-Eastern region, travelling on a average 20 days in a month driving over hills, mountains and plains, through villages, small towns and cities, meeting people and exploring places. His PhD research work on cross-border exchanges, development and migration takes him to new places and experiences. He has published several papers on the subject at seminars in India and abroad, and loves to engage in a wide variety of topics. He manages Gypsyfeet operations and engages with clients to work on a customised itinerary that allows people to experience the region in a holistic manner. Kongkona is currently based in London and works as an international development consultant .She has undertaken assignments in Afghanistan, Bhutan, Guyana, Nigeria, India, Trinidad and Tobago for various bi-lateral and multi-lateral organisations including DFID, IADB, World Bank, Commonwealth Secretariat and UN EcoSoc. Her focus in private sector led economic growth programmes.She also promotes pro-poor tourism efforts in Eastern Himalayas and advises responsible tourism organisations in the region. If she is not travelling for work, Kongkona travels for fun and gets lost often -walking the cobbled streets of Brugges or the trails of Scotland Highlands, meandering in the bazaars of Istanbul or sailing the islands of Caribbean. Among her other talents, she claims she can scent a good deal and a good meal miles away. She refuses to use a selfie-stick. We got a seasoned photographer travelling with us on some of our jaunts. She effortlessy juggles between the paint brush and her Nikon. good to bump into you! will keep coming for more! Hi fellow gypsy – great to meet you. See you here often. Of course. Since we accompany our groups on all the trips, we are definitely meeting up. im from pakistan and im so jealous i cant do this!! you guys rock and its amazing to know there are women like you this side of our world also. Hi Jammie. Thanks a lot.Its great to have visitors from other countries.!!! Reached….. Bhutan.. I can see picture back ground of Taksang Monastery “Tiger’s Nest”. One of the Bhutan’s insight highlight of the trip!! Sure Neha, we do have some small budget trips in mind for the future.Hope you join us for one of those. Sent you mail on this. Fantastic initiative… will spread the word among friends etc and will get in touch once I’m ready to set off on a trip to your part of our country! Best, Ashwin. Wonderful concept of giving a more deeper meaning and connection to travels. Some day I hope to participate on on one of your travels. Wishing you all the success you richly deserve. Thanks so much, and would love to have you join us. Kudos!!! Please let me know if I can get e-mail reminders for your upcoming trips. That will be awesome. I am looking to tramp along with ya ppl 🙂 ASAP! Thanks Sujit, we hope to see you soon on one of our trips. Im Juhi Jha, I run a nature based travel promotion business in the UK called Good Earth Voyages. We promote unique nature based activity providers and home grown lodging establishments in naturally unique destinations. We usually work together with local biodiversity specialists and property owners to work out promotion modalities- and because of our focus on benefitting the local communities, our business method is innovative, whereby we do not work on “marketing fees” etc. We’re currently working with local businesses from Tanzania and Seychelles and promoting them among nature enthusiasts in the United Kingdom. Your region of operations is of direct interest to us and we would definitely be interested in promoting your products on our platform. I am planning to travel to India in April and perhaps if we made some progress with this by then, it would be great if I could meet someone from Gypsy Feet in person. & One special “Hi” to Mirza…. You guys are doing a really great work…promoting the real North-East, which is also a dream of mine. Just to realize this dream, I too came back from Delhi and started a traveling house in Assam. A traveler by passion, it will be great if we meet up some time.